We are lucky enough to be located on one of the highest sea cliffs in Europe. 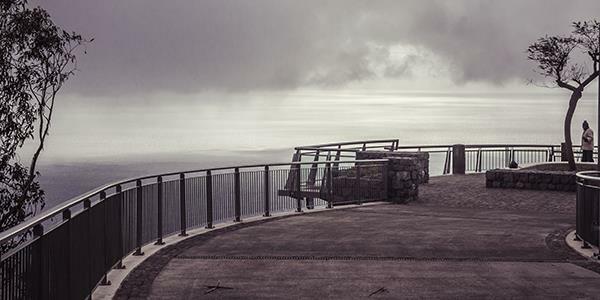 Just a short walk from the site is the cliff Cabo Girão and at the top of here is an incredible lookout location that provides magnificent views of your coastal surroundings. 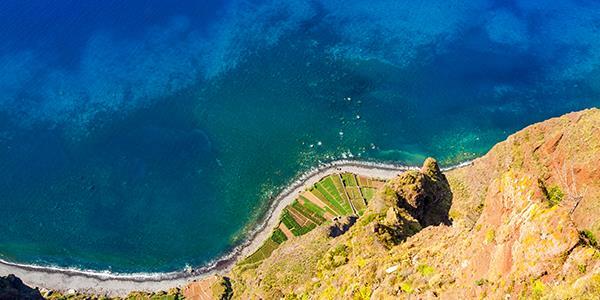 Cabo Girão's sea cliff, located on the south coast of Madeira, was such a popular tourist attraction that in 2012 a redevelopment of the area allowed the addition of wider roads, shops and parking for visitors, making the whole site far more accessible. 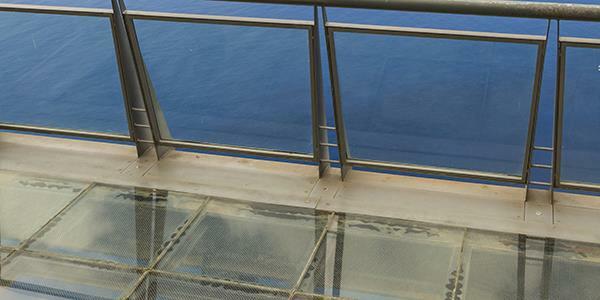 A glass-floored viewing platform was installed along with a skywalk that looks down over a 580 metre drop. Be warned, this is not an attraction for vertigo sufferers! The tourist attraction can be reached by foot and takes advantage of this sea cliff's spectacular location. At 580 metres above sea level the lookout provides magnificent unobstructed views of the clear water of the Atlantic Ocean, the towering cliffs and rolling greenery that stretches outwards. Not to mention a perfect view of the beach below the feet of those who stand on it. The area also provides visitors with good, picturesque walks, thanks to the surrounding paths and levadas. The Chapel of Nossa Senhora da Fátima is only a climb away from the main tourist area, or alternatively you could descend the steps to Câmara de Lobos, the fishing village at the bottom, and wander amongst the little houses. It is quite a trek down hill and will take you about an hour and a half, but the centre of the village is worth the walk. 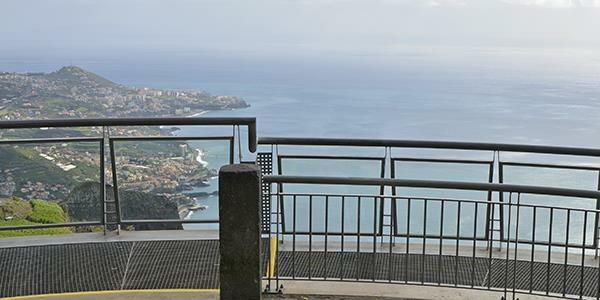 If you want to extend your visit there is a cable car at the top of Cabo Girão that was originally built as a means of transport for farmers. Now guests can make the journey down over the stunning landscape to low lying fields at the bottom. It's a very picturesque route. Cabo Girão is not one to be missed. Both tour buses and public buses make trips there (take a look at the website here). But the easiest way to get to the viewpoint is from Encosta Cabo Girão. Find out how to stay here for yourself by simply popping your details in at the bottom of the page.